Check out these perfect crispy and crunchy chocolate chip cookies which are eggless and healthy as made using whole wheat flour. 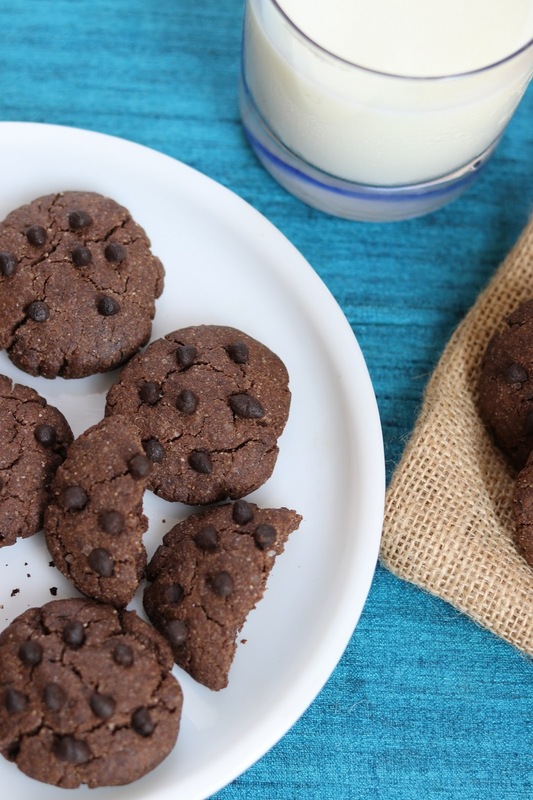 These choco chip cookies are chunky, fudgy and a bit chewy in texture. Chocolate cookies are super easy to made, even without eggs. 1. Sieve all the dry ingredients. Keep it aside. 2. in another bowl, cream butter along with castor sugar till light and fluffy. Add vanilla essence. Mix for 2-3 more min. 3. Add dry ingredients into creamed butter. Combine all the ingredients like bread crumbs. Do not knead the mixture. Simply mix using finger tips. Add chocolate chips. Use little milk to prepare the cookie mixture. 4. Keep the mixture in fridge for half hour. 5. 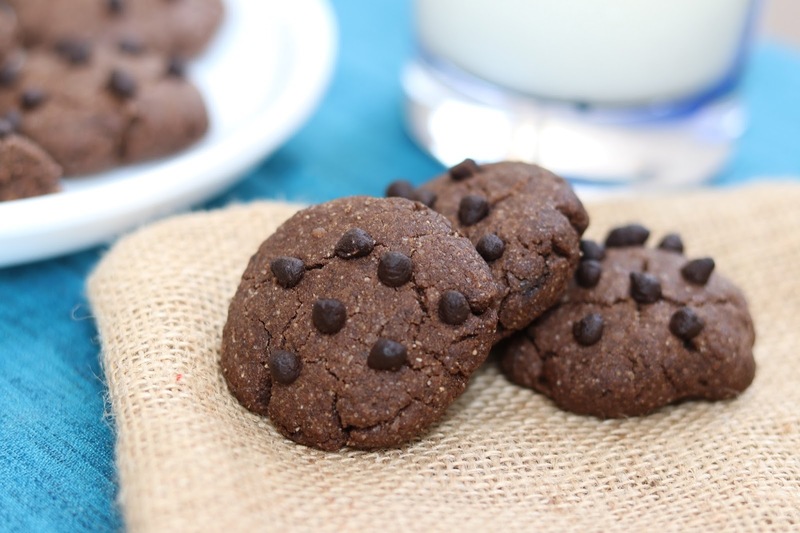 Once firm, prepare cookies and decorate the cookies with few chocolate chips. 6. 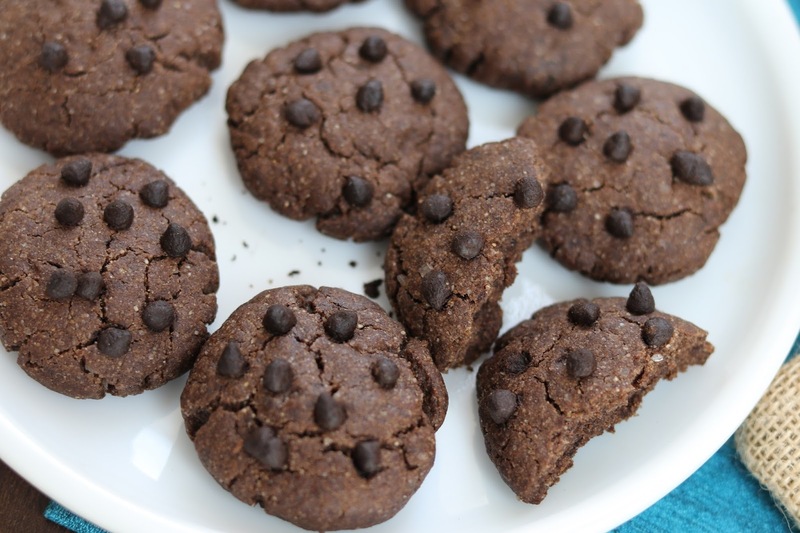 Place cookies in preheated air fryer. Ensure to leave 1 inch space in between the cookies. Bake the cookies at 160 for 8-9 min. 7. Once baked, cool down the cookies and and store in air tight container. 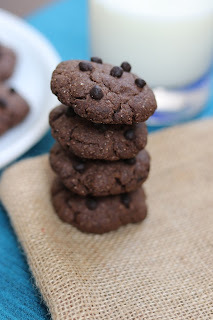 Eggless cookies would be great for the person like me who is egg allergic.Thanks for sharing this yummy egg less chocate chip cookies recipe with us.